For many of us trying to lose weight and keep it off, viewing food as the enemy often becomes commonplace. But what if we told you that there are a number of super foods that can actually work with you to help you in the struggle to lose weight? We’ve compiled a list of 16 super foods that actually help you lose weight, and some of them even burn fat! Weight loss is hard enough as it is, but when you feel like every good piece of food is banned from your life, things can get frustrating and fast. Many of us go on to fail in our weight loss attempts or even trying to maintain a healthy weight. With the right research and advice by your side, which includes busting some myths, you can stay on the right path to a healthy lifestyle and weight loss. One of the biggest myths out there is that any type of diet, or recipes for dieting, are automatically awful! Maybe if we go back in time, we can see just how awful dieting was, but this was before major breakthroughs in science, studies and further research, and of course well before the Internet. If not for Google or Facebook who knows what on earth we would be eating! It’s not really a fish, more like the fillet steak of the oceans! Okay, that’s not true, it’s actually a fish…a very tasty and very healthy fish depending on how you prepare it. But what makes Salmon a super food? 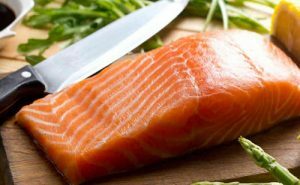 Salmon contains omega-3 and some diets are built around it. Don’t let the look fool you either, this weight loss super food doesn’t rank high in saturated fat, and with that omega-3 content, it squashes any other concerns you might have. If you’re not sure how to cook salmon, the Internet has an abundance of goodness and ideas. 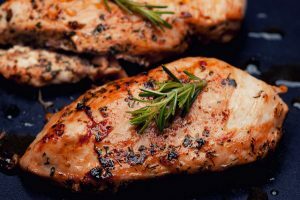 Obviously not an option if you’ve decided to go vegetarian or vegan, but chicken breasts can be used in several diet recipes. Chicken breasts from free range farms, and not pumped full of water or growth hormones is what you want to go for here. Chicken is a super food because it’s high in protein value, and low in fat. Making it even more super is no skin, and you can make it more interesting by adding the right type of spices. For any diet and healthy weight loss exercise plan, chicken breast can help you reach a higher metabolism as well. But honestly, who really cares anyway! Tomatoes are awesome: tasty and healthy too! All you need to know basically is that they have a ton of good things for your body for the long term, and in the short term they can help you lose weight and keep it off. Tomatoes are low on the calorie scale, high in water content, and, thanks to the high fibre content, help give you a full feeling and keep things moving in the right direction. Tomatoes are super because they bring so much goodness to the table when trying to lose weight, and they add a little colour as well. 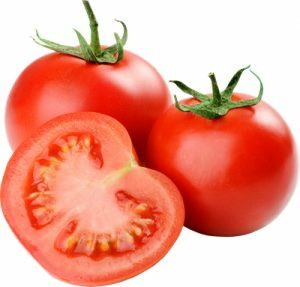 The lycopene in a tomato has antioxidants, and studies have shown that this helps reduce the risk of many diseases, such as cancer and other conditions. Tomatoes are rich in vitamin C, potassium and folic acid, which all help to reduce the risk of heart disease. IMAGE – Not everyone seems to agree on oats being a super food, but we’ve got some great sources to confirm that oats work in part with a great weight loss strategy. The fibre alone boosts metabolism, and thanks to the slow release energy and protein content, oats keep you feeling satisfied for a lot longer than your average breakfast cereal! Besides that, oatmeal is a fabulous way to start the day. We didn’t seem to hear much about this healthy alternative to rice: until Facebook showed up, that is! This is a secret super food amongst vegetarians, and with good reasons. The weight loss benefits come to any diet because all you need do is switch to quinoa in place of the more calorie dense foods like rice or potatoes. 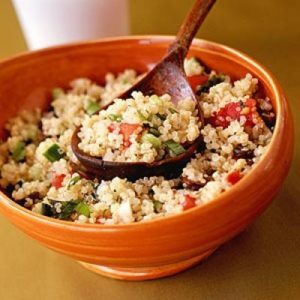 The added super bonus is that quinoa is full of vitamins, protein and fibre; it really helps to balance out your meals. And those sneaky vegetarians were keeping this all to themselves? Beans, beans the magical fruit, the more you eat the better you’ll feel! Okay, so we changed that up a little bit, but it’s still true! Beans are magical, and they taste great! There is so much you can do with beans, and most types have a natural taste that can’t be beaten. What makes beans so super? So glad you asked – all legumes, (which includes beans, lentils and chickpeas), actually help regulate blood sugar levels, and help with digestion, providing healthy, slow-release energy, thanks to their highly nutritious, and pretty unique, combination of protein and fibre. Black beans are amazing, and if you’ve never tried them, we highly recommend you do. Many restaurants actually keep black beans as a substitute for a really great side dish. If you like Mexican food, they’ve taken black beans to new and wonderful heights on the delicious scale. Try replacing your potatoes or rice next time with beans, and we promise you won’t be disappointed! 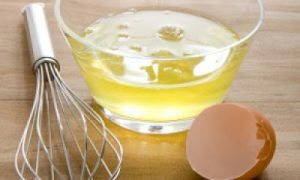 Egg whites on the other hand provide even more benefits or super powers if you will. The yolks are a bit higher in cholesterol, so if you are being conscious or guarding yourself against foods with a higher cholesterol content, then play it safe and separate out the yolks. Just go for the whites, and enjoy. If you like it spicy, and don’t want a bland tasteless diet, you’re in luck! Hot peppers like habaneros, jalapenos, and chipotles can help you to lose weight. These hot peppers contain something called capsaicin, which provides the super duper kick you want in any diet. Capsaicin provides awesome benefits that can actually help you lose weight; the extra energy and calories burned after consuming spicy peppers really gives your metabolism a boost. 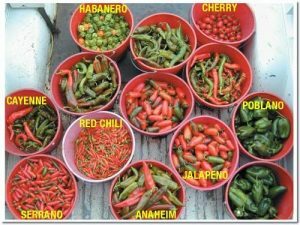 With this super food we can actually do a bit of myth busting – many believe hot peppers can burn holes in your stomach; this isn’t true at all. Recent studies have shown that they may actually be helping prevent stomach problems like ulcers by killing the bacteria responsible. So go on then, get fired up! Okay, fair enough, more than likely you’re sick and tired of hearing that broccoli is good for you. 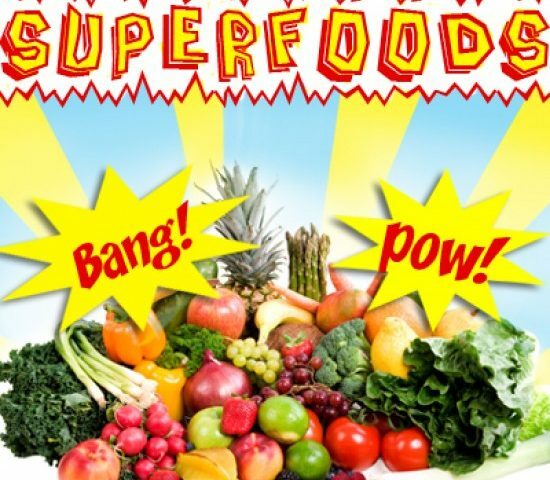 But, it’s been added to our super food list with some awesome reasons. Sorry to say, but Mum and Dad were right…broccoli is GOOD for you, but besides that it can also help you lose weight. Broccoli is the ultimate filler: low on calories, but at the same time has tons of nutrients per pound. It’s got fibre, and keeps things regular. Eating broccoli raw is even better for you, and helps you fill up even faster. The best part of cooking broccoli however, is all the great spices you can add including garlic cloves and olive oil. Just don’t go adding things like cheddar cheese, unfortunately this doesn’t work for weight loss…sorry! will enjoy it in salads. Spinach works for weight loss, and adds bulk to your stomach without the added calories. Spinach is also great for additional recipes that include chicken breasts and eggs. But what makes spinach super-duper? How about low in fat and even lower in cholesterol? Yep, it’s got that! 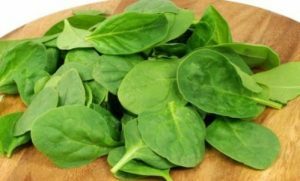 Plus spinach is high in niacin and zinc, as well as protein, fibre, vitamins A, C, E and K, thiamine, vitamin B6, folate, calcium, iron, magnesium, phosphorus, potassium, copper and manganese – that’s all we could find! Super food isn’t the best way to describe green tea, we’d prefer super and powerful! You might have already known that green tea is packed full of antioxidants, but did you know that it can help you lose weight? 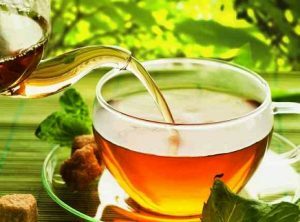 It’s something called the catechins, which is part of the green tea that helps your body switch to burning more calories and fat. Green tea stands tall as the winner against all other teas out there, and if you want that extra natural boost of energy, but don’t want the coffee, then green tea wins again. Adding avocado to your diet really can help you slim down, but for far too long avocado was frowned upon because of the fat content. Back in the day, whenever that was, many thought the word “fat” was just plain evil when it came to foods. Thankfully today, thanks in part to research and studies, we now know that some fats are different, and some are not created equally. Good fats like the ones found in avocado, can help you lose the fat you have. Sounds a bit strange doesn’t it? 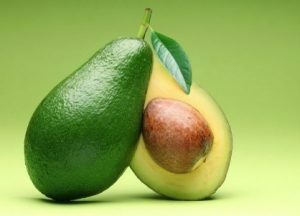 But, we assure you, and so do many health organisations, that avocado is a super food. You can try adding avocado slices to your sandwiches or just eat it alone with a bit of salt and pepper. Or you can mash it up and make your very own guacamole, which can be a great substitute for butter. Even more popular these days, is the avocado chocolate, or raw chocolate. Eating raw is a new fad that is really catching on as well, and you can learn more about it by following the links below. 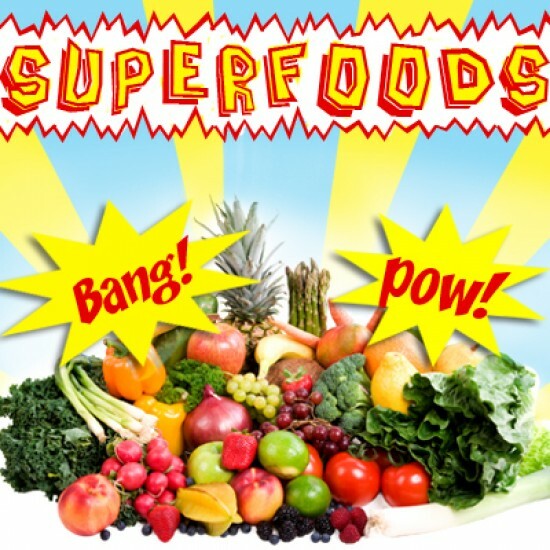 These are not just the average super powerful food because of the healthy dose of antioxidant they contain. No, in fact the best part about eating blueberries or adding them to your diet is because they also can help you lose weight, and it gets even better – they also help your body break down the fats and sugars. Of course don’t forget how absolutely amazing they taste too! Flaxseeds, also known as linseeds, are super because they contain fatty acids that also work to boost your metabolism. You can sprinkle ground flaxseeds on just about everything, and is a great addition to your diet plan. Flaxseeds help your body in many ways, because of what they contain – things like omega-3s, and of course fibre. A big bonus to flaxseeds is it lowers your levels of bad cholesterol in your body. These little seeds have some serious health benefits when it comes to matters of the “heart”. We really know how to end our super foods list on the best note possible! Olive oil is the essential cooking oil, and all of us should be using it for just about everything. The health benefits as you can well imagine are incredible, and there is no need to prove it. It is a well-known fact and the many studies done are well behind us. Olive oil goes back centuries, and is widely used in places like Spain, Italy and Greece. There is a reason why the Mediterranean diet is so wildly popular – it’s because in Southern Europe, people just live longer, it’s true. Life spans in Spain for example are some of the highest in all of Europe. 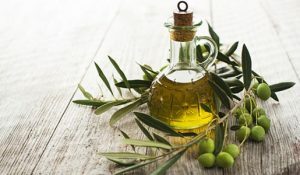 Olive oil helps you lose weight because it replaces other things like salad dressings that are often creamy and high calorie. Olive oils can in fact replace all those fats considered bad for us. Even if you were to change nothing else in your diet or lifestyle and just start using olive oil you would still benefit by losing weight. Most people have found that if they start to embrace a more Mediterranean-based diet, the results are accentuated. Using more olive oil in your life is probably one of the best ways to kick-start your new, healthy lifestyle. thanks for all these foods that burn fat! this article is quite important because summer is coming!